Every time I turn on the news I hear about some kind of recall. Since I watch very little TV ~ I need to rely on a safe way to ensure that Diesel is not eating any food that has been recalled. 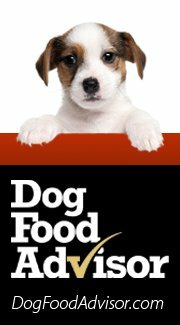 One of the best ways to ensure that you know about all Dog Food Recalls is to sign up for DOG FOOD ADVISOR. Sign Up HERE to get your Dog Food Recall Information sent to your email address. Here is the latest email I received from Dog Food Advisor. Because you signed up on our website and asked to be notified, I'm sending you this special recall alert. On July 7, 2015, Carnivore Meat Company of Green Bay, Wisconsin, announced it is voluntarily recalling two batches of its Vital Essentials raw frozen dog food due to possible contamination with Listeria bacteria. Listeria is not only dangerous to dogs, it can be deadly to small children, the elderly and those with autoimmune disorders. The affected products were distributed in 12 U.S. states. most current details on all Dog Food Recalls. Thank you for this info. I have two pups and I signed up for this email service. I am always interested in knowing when a dog product has been recalled. We don't have any dogs (cat lover here). This is great information for my family and friends who own dogs. Thanks! I am going to share this with a couple of friends that are dog trainers. 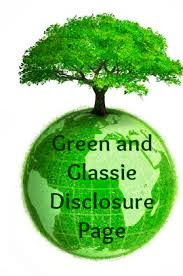 It will be a great resource for them to share with their clients I am sure! What great and valuable info on pet safety. 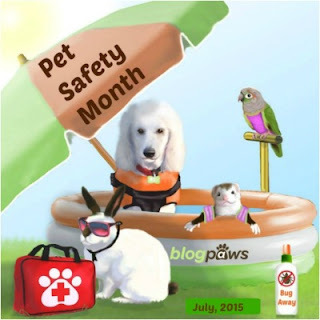 I'm happy to hear that there is a pet safety month as I didn't know about it before hand. I have a kitten and she rules my home. Keeping her safe is so important to me. This is really good to know. I would be very upset if I gave my puppy bad food. Ah, good to know. I have three pups so I'm always wanting to know about any recalls. This is super helpful. I never really thought about pet food recalls but it's important to know about. We dont have a dog but this is great information for those that do. Always great to be able to keep up with recalls. Wow what a great way to get updated on recalled dog foods. This could be realy helpful! I do not have any pets. I never knew this existed, sounds very informative! Thanks for the information. I don't have pets, but I will share this with friends and family. That's a great service which I'd never heard of before. It's so important that you're helping to raise awareness. I bet it will save a lot of animals. I really appreciate this service. I always wonder if I am doing the right things for my dog. With this, I know I could have peace of mind. It's always important to look out for dog food recalls. The last thing you want is your little fur baby getting sick or worse! This is really important information for pet parents to have. WE have to keep our pets safe and healthy too! How great that there is a place pet owners can visit to check up on food safety. Fab resource! I agree, it is great. It's hard to keep up with all the recalls so it's good to be able to easily check. This is such a great resource! I have recommended Dog Food Advisor to lots of pet parents looking to compare dog food. It's crazy the way companies think they will get away with poisoning our pets! Quality control needs to be better! Hurrah for Pet Safety Month. I'm glad it has a designated day and positive attention. That makes it so easy to stay on top of things! I need to sign up so I'm in the know. Oh my gosh! Thanks for posting this! I'll have to tell my parents to watch out for this. They have a little pup that my niece loves. This is great information for all pet owners. I will have to share this with my Sister. She has two small dogs. This is good to know - we have a 7 year old dog so i have to keep my eye out for recalls and safety information. great service - didn't realize there was an advisor like this. I dont have a dog but its great that this service is around. Its important to know what your pet eat has a recall on it! Wow, I'm signing up to get the emails so I'll be alerted to things like this. We don't feed our dogs this particular dog food, but if there's ever a recall on what we do feed ours, I want to know, asap. Thanks! Wow this is such a great service. If we had a dog I'd love to know if his/her food was being recalled. Great info! This is a great service. As a dog owner, I always keep my eyes out for stuff like this. I recently saw a brand that had been recalled on the shelf in my local store. I had to let them know. Which is scary, because how many people didn't know and bought that food for their dogs? This sounds like a really great service! That would be so scary to find out a recall for your dog food. Very nice description and layout of this product. I can think of quite a few of your tasty creations you can “save” for when I visit.